The Xage Security Suite is the first and only blockchain-protected security platform for the Industrial Internet of Things (IIOT). 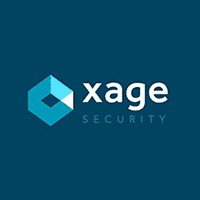 Advancing beyond traditional security models, Xage distributes authentication and private data across multiple devices, creating a robust tamper-proof “edge fabric” that protects communication, authentication, deployment and trust. Featuring a world-class founding team with deep background in Security and Industrial, the company is getting extraordinary traction with projects at partners and customers spanning energy, utilities, transportation and manufacturing. People are recognizing that this is the right way to provide the foundational edge security platform for Industrial IoT innovation.